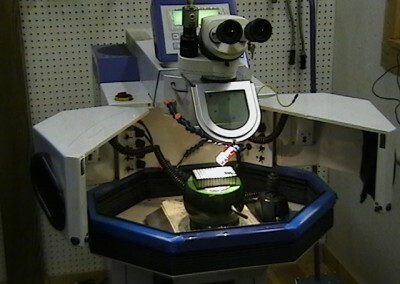 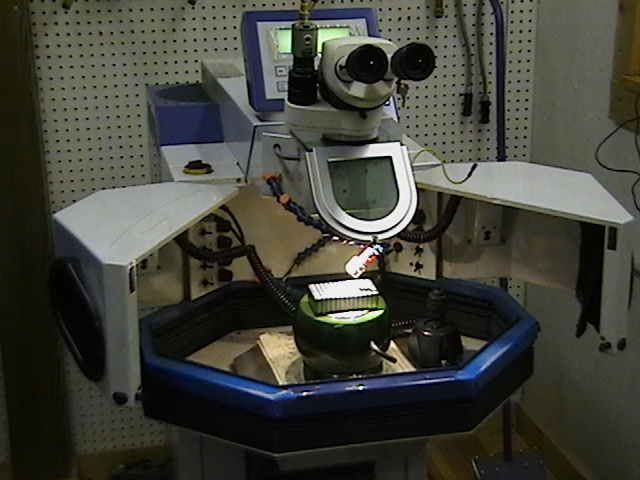 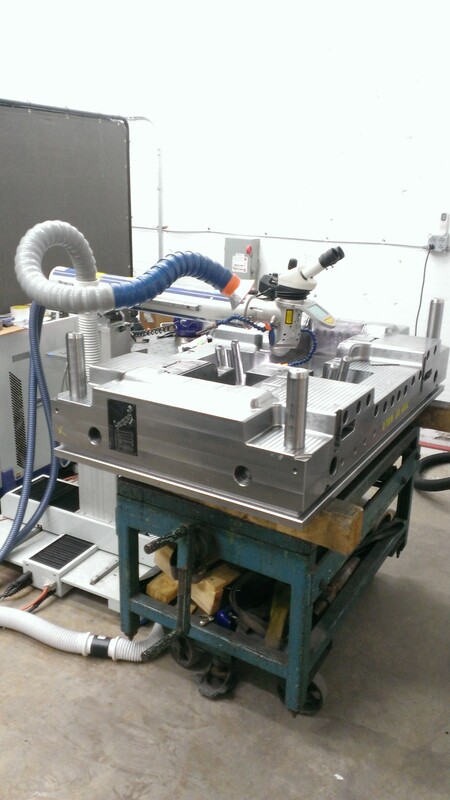 This is one of our 200 Watt, 4 Axis (Including Rotation), CNC Capable Micro Laser Welders. 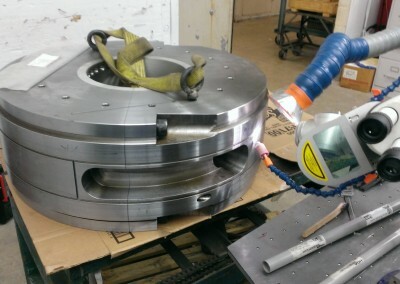 It has a camera installed so that customers and employees are able to watch the component being welded via live video streaming. This is one of our 175 Watt, Mobile Capable Micro Laser Welders. 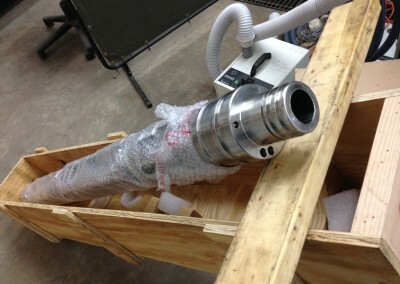 Units like this are able to travel to the job-site when pieces are unable to be delivered to us. 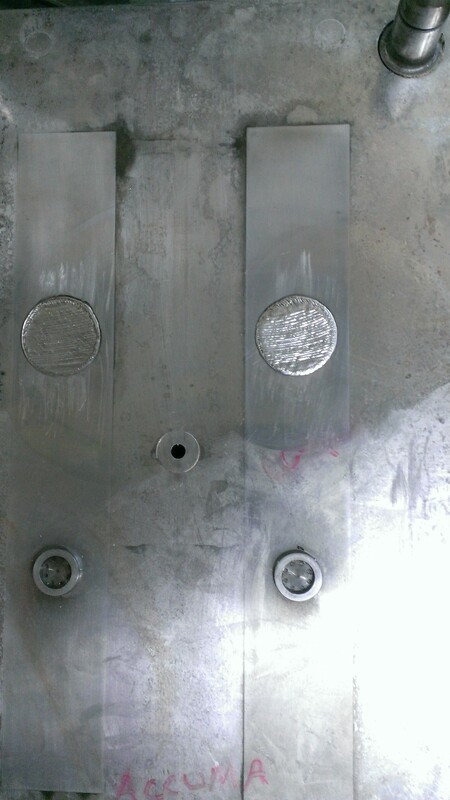 It utilizes Single Phase 240V Power for easy on-site hook up. 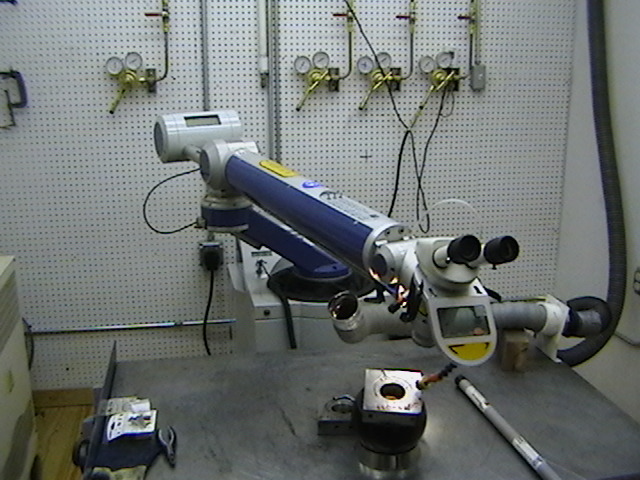 This is our 100 Watt welder. 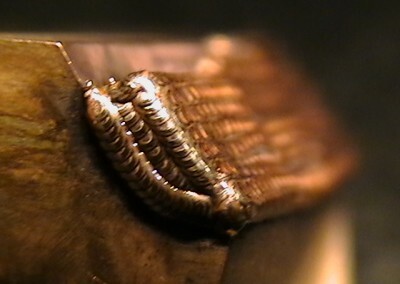 It is dedicated to small applications because of it capability to utilize welding wire as small as 0.0015″ in diameter. 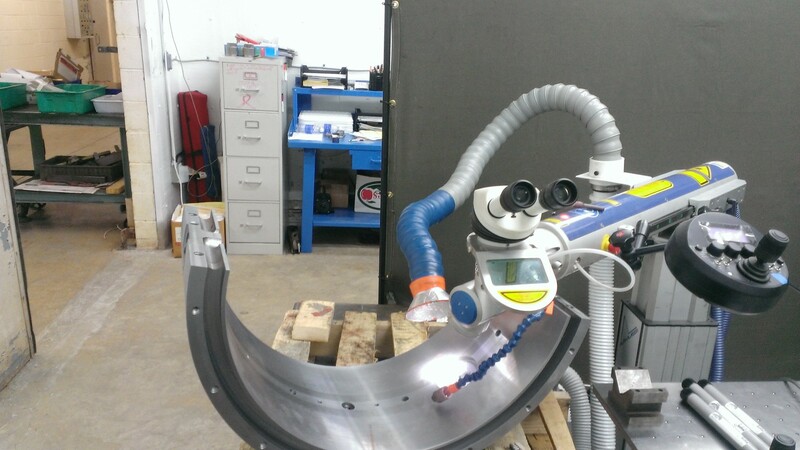 It has the ability to be completely enclosed for the purpose of welding certain materials. 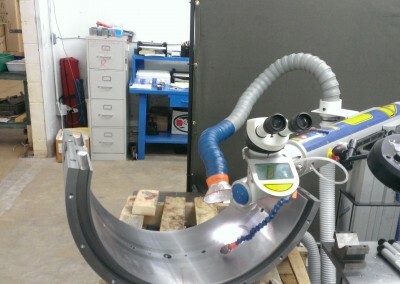 This is one of our 300 Watt welders. 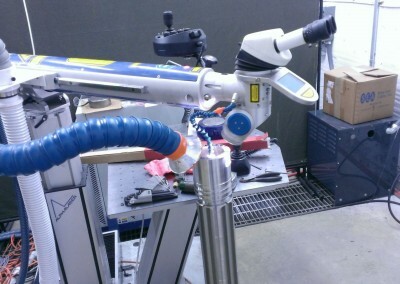 It has a large work range due to it’s articulating arm. 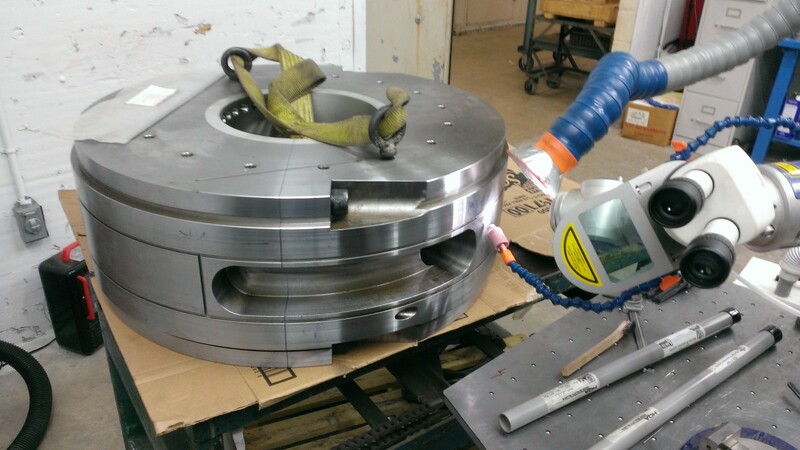 Components as small as the palm of your hand to pieces as large as the mold section shown are able to be accommodated with these machines. 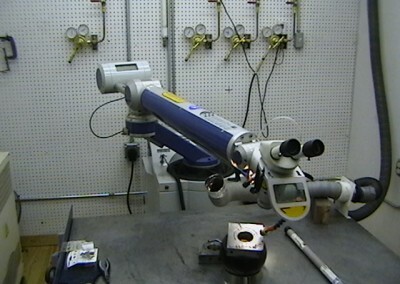 This is another of our 300 Watt welders. 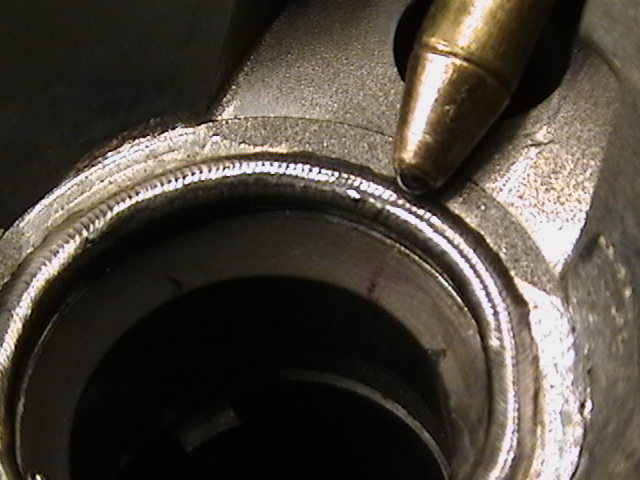 Working off table gives us the ability to weld more complex areas. 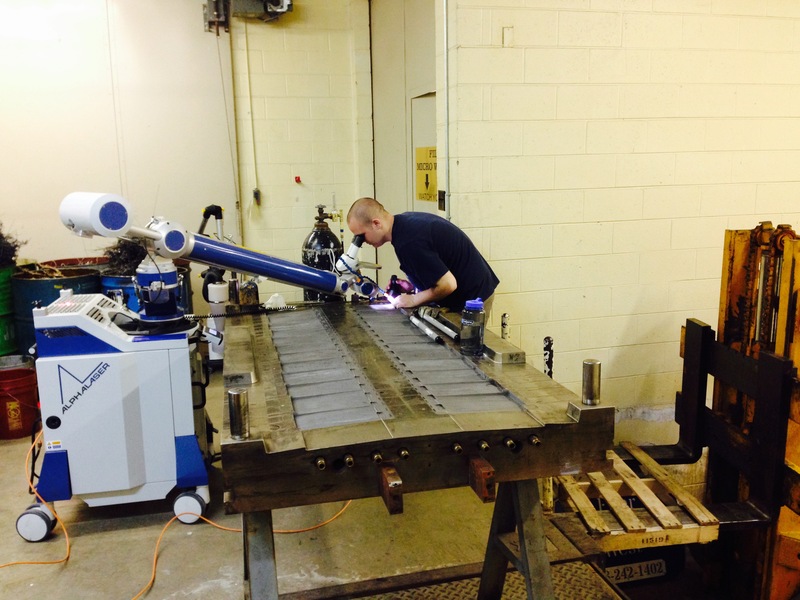 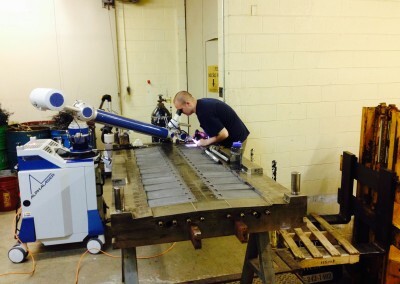 Babbitt Bearing Steel Component being welded on one of our 300 Watt ALBASIS precision welders. 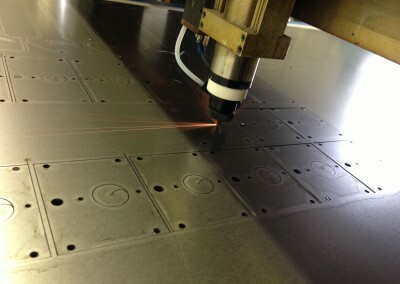 This image shows the ability of our welders to be manipulated into many positions to allow for components to be welded off table. 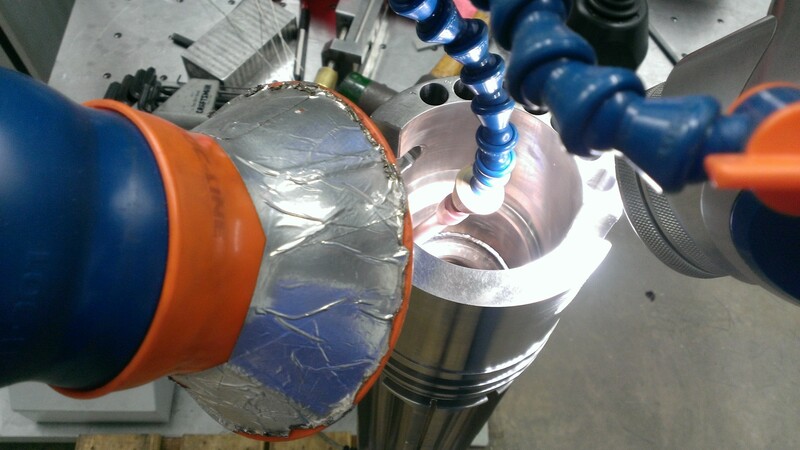 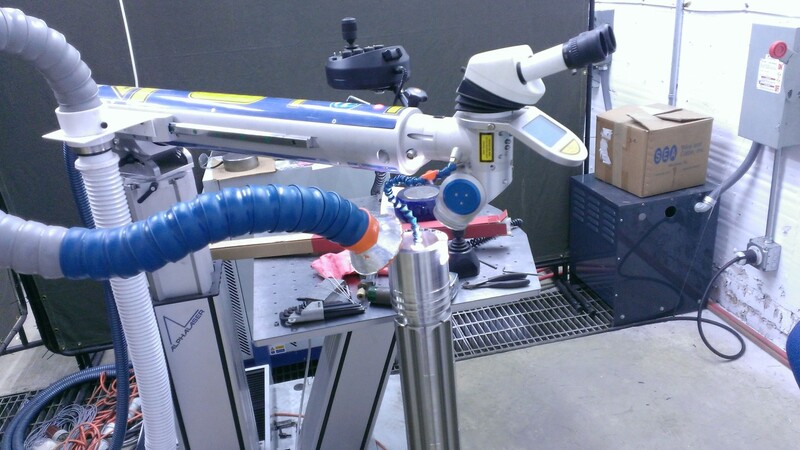 With the use of an on table rotator and the adjustable positioning of the optics and laser arm, we have the ability to weld internal columns as shown. 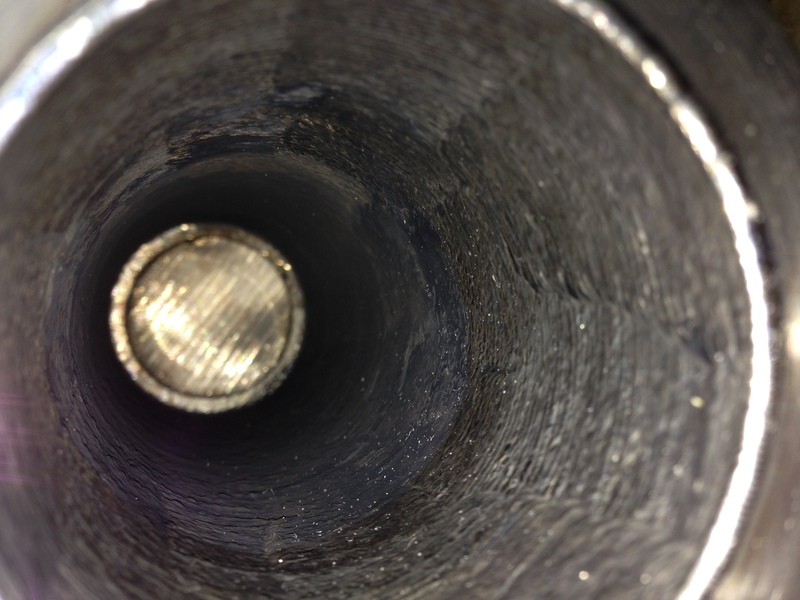 This particular weld was in a 2″ Diameter Column and at a 3″ Depth. 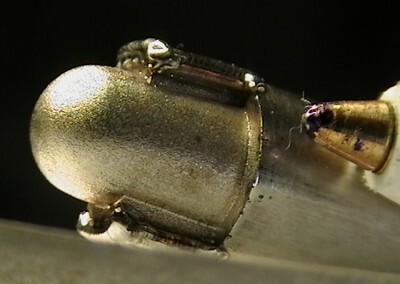 Stacked Beads on an Internal Wall at a Depth of 6″. 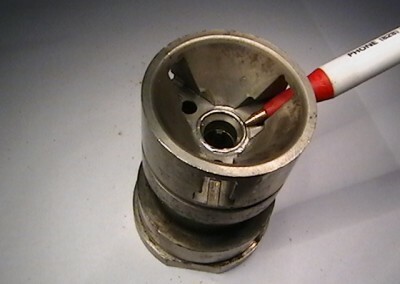 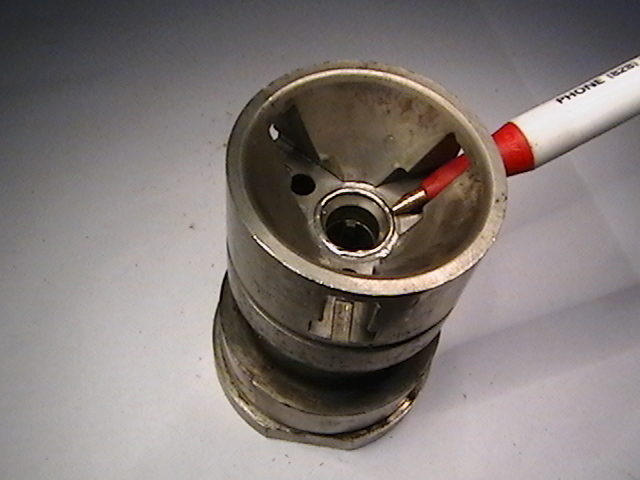 Extremely small weld used to attach three components for an electrical application. 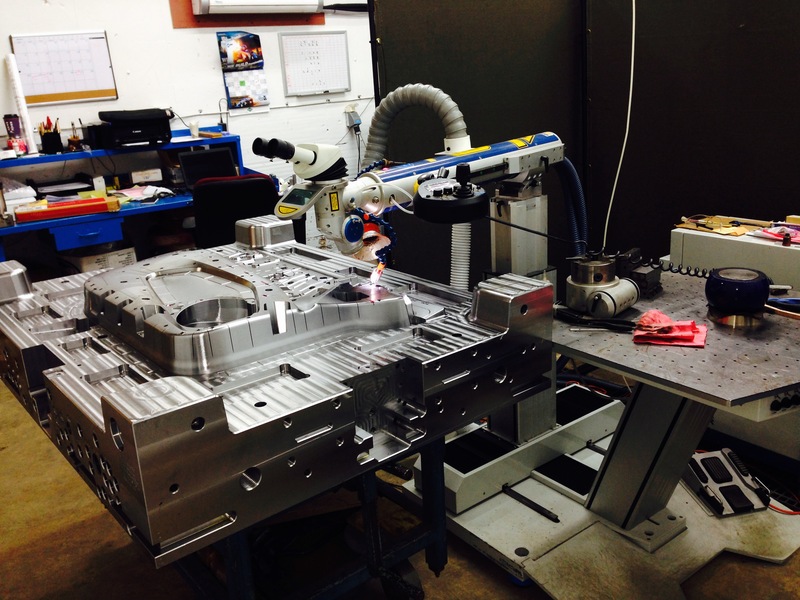 These components were welded on one of our ALV100 machines with the use of low wattage for detail and precision without warpage or damage. Ball Point Pen for Size Reference. 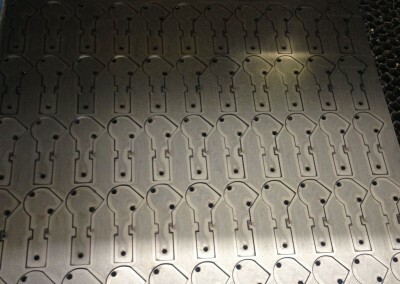 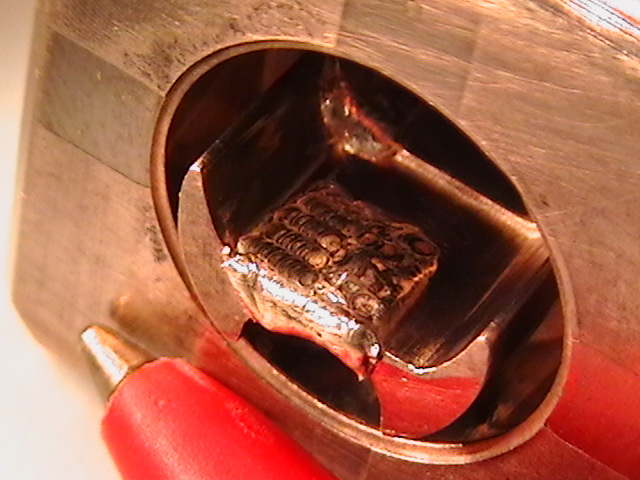 This is an example of a fill weld to adjust a Tool and Die mold revision. 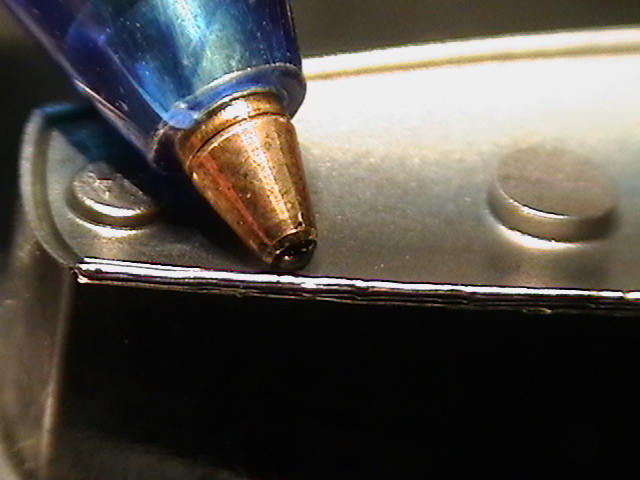 Ball Point pen for size reference. 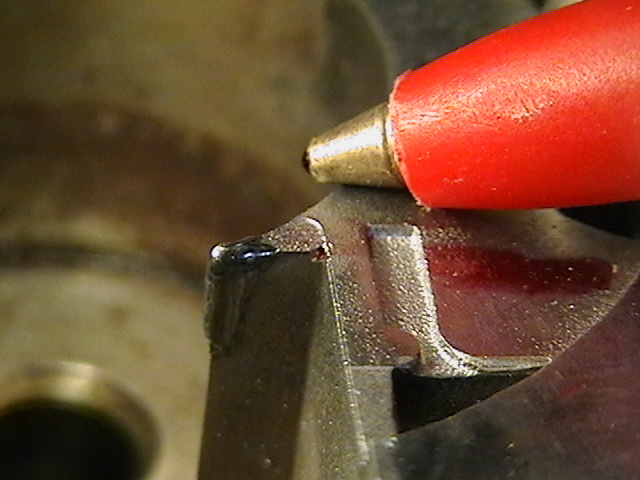 Detail shot of an edge repair on a stainless tool insert. 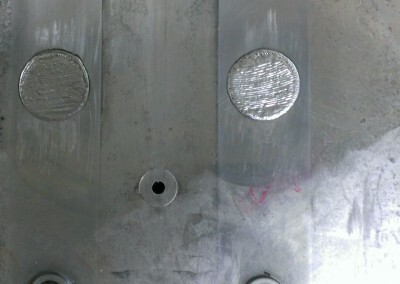 This shows our ability to cap a damaged edge without altering excessive surfaces. 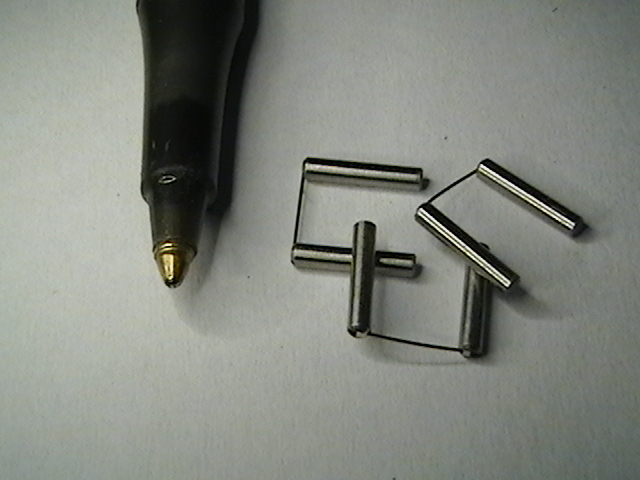 Extra Fine Felt Tip Pen as Size Reference. 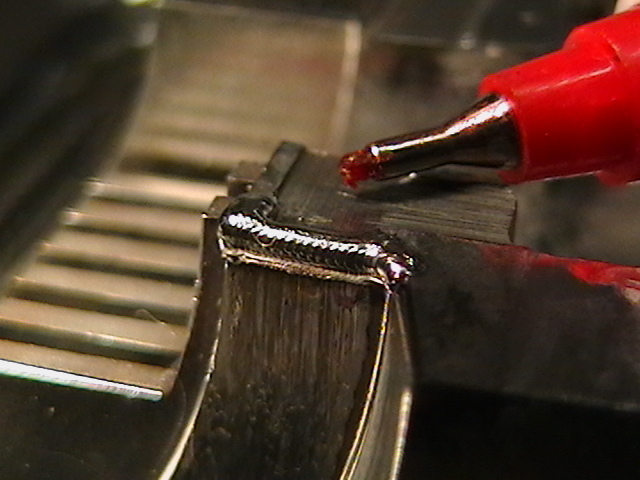 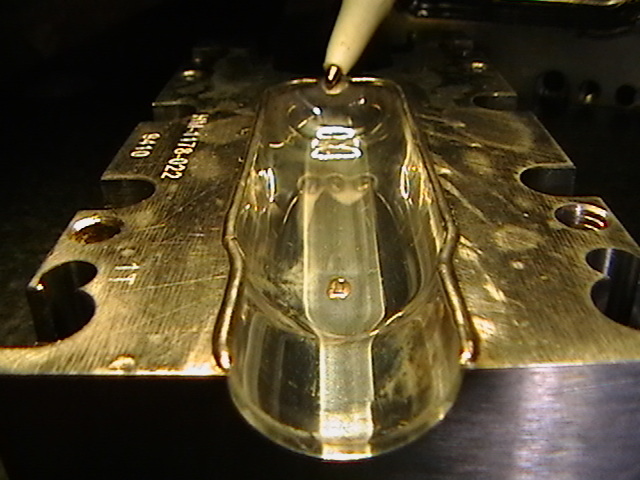 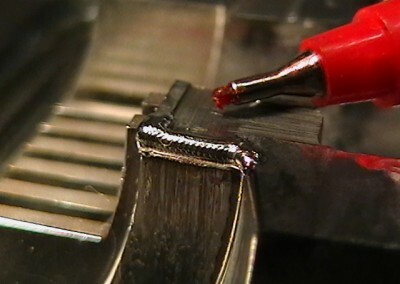 This is an overview of an Parting Line Edge Repair on a Diamond Polished H-13 Tool. 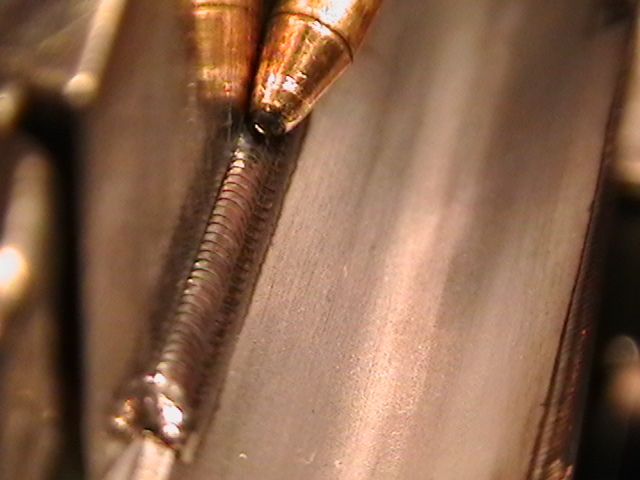 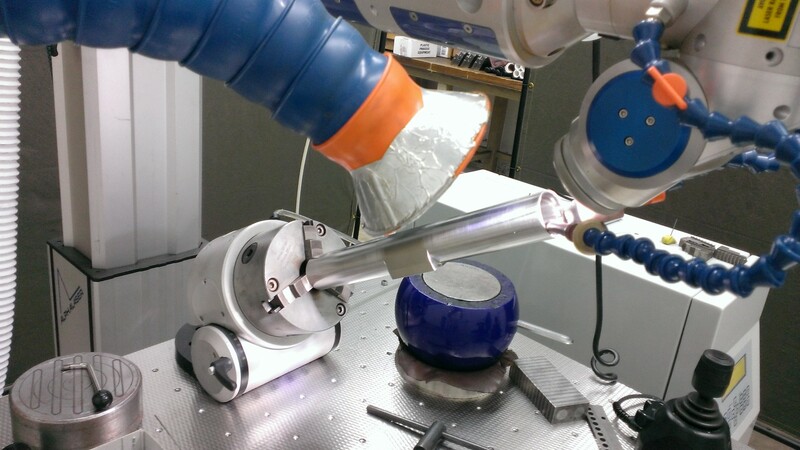 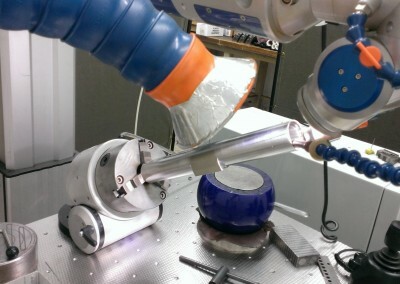 This shows our ability to weld an precise, minute bead without damaging a high-value surface. 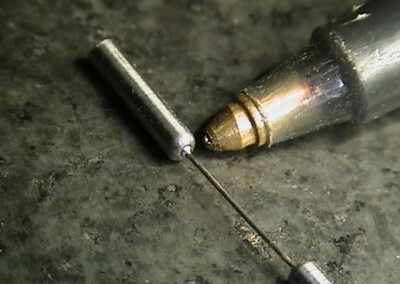 Ball Point Pen for Size Reference. Detail of Diamond Polish Edge Repair. 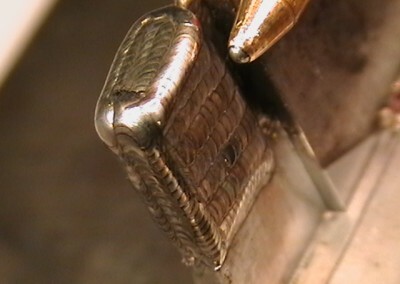 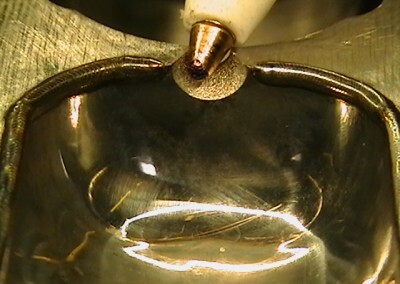 This detail image of the Diamond Polish Edge Repair showing the edge build welding bead transition. 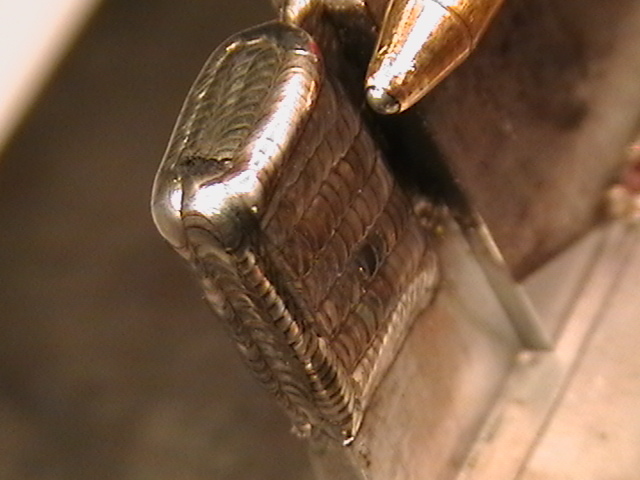 Detail of a built edge on a Beryllium Tool for a Mold Revision. Build Up of Beryllium On the Edge of a Rib. Broken Feature Rebuilt on Beryllium Component. 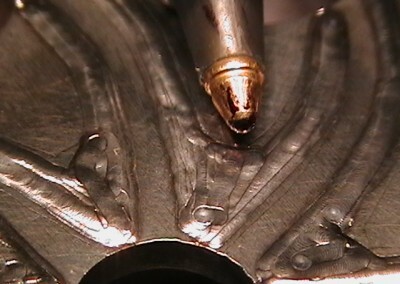 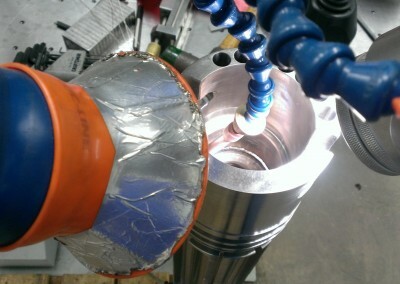 A detail shot of a welding repair on an eroded runner system in a Metal Injection Mold (MIM). 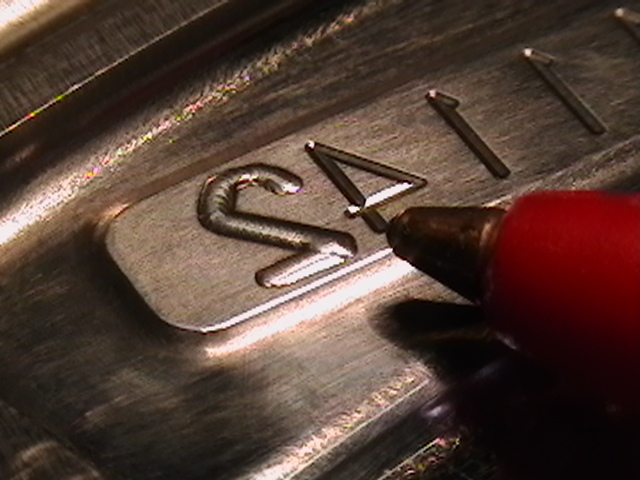 This was was done on H-13 steel. 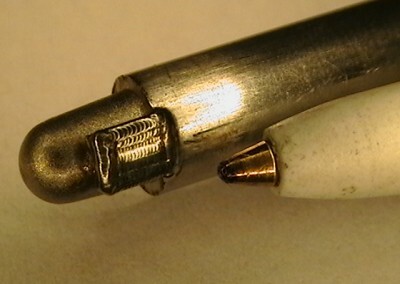 Ball Point Pen for Size Reference. 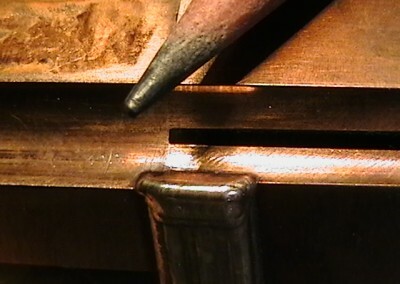 Very small corner repair on rib. 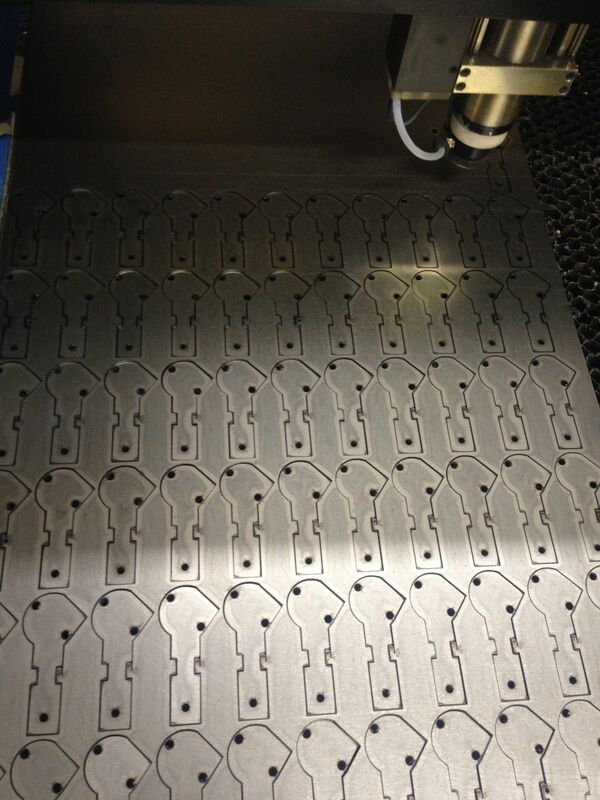 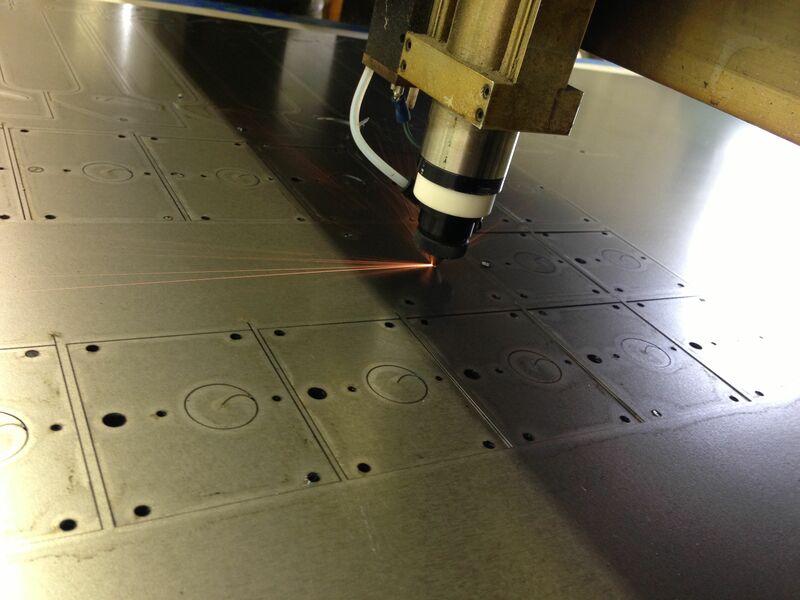 Laser Welding gives us the ability to work on component details with little risk of damage. 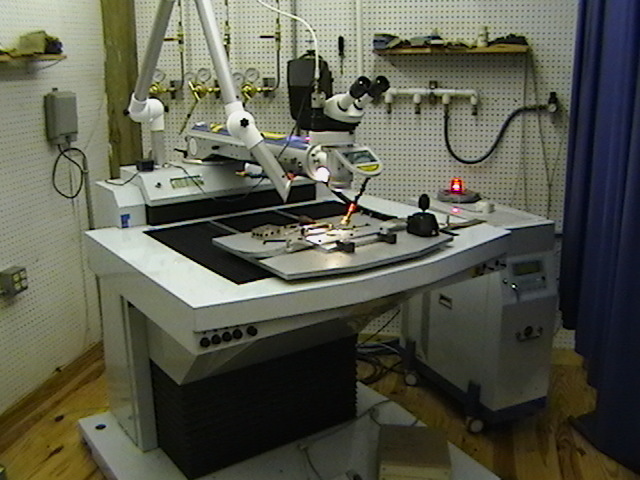 Low heat and low power allows for repairs on thin features without distortion. Ball Point Pen for Size Reference. 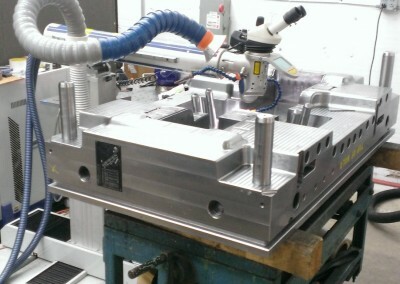 Edge Build Up around full diameter of internal of sprayer mold component. 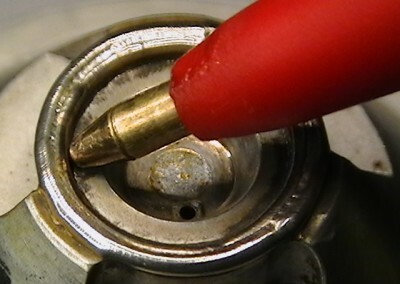 The rotator we use on the Micro Laser Welders allows us to cleanly weld a full diameter with little variation. 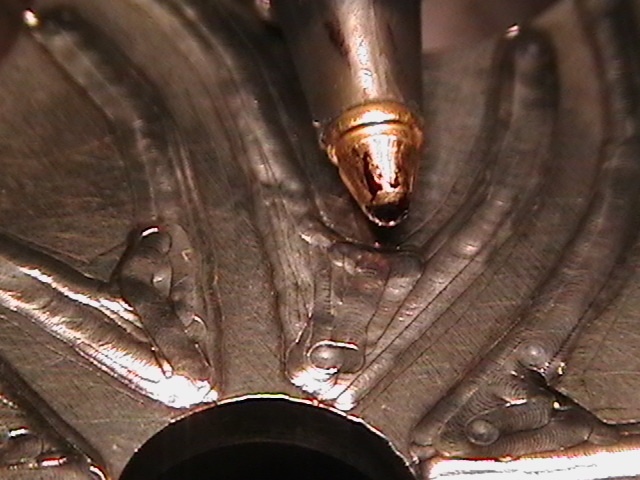 Completely Rebuilt Feature on a small Core Pin. Ball Point Pen for Size Reference. 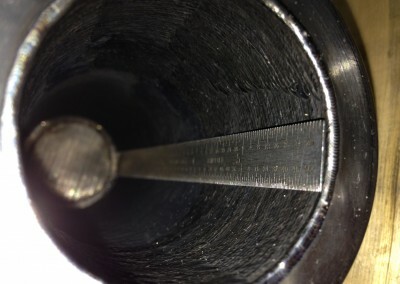 Laser Welding allows us to repair large areas without risk of sink in the component, as shown here in through the repair of core pin damages on an Injection Mold. 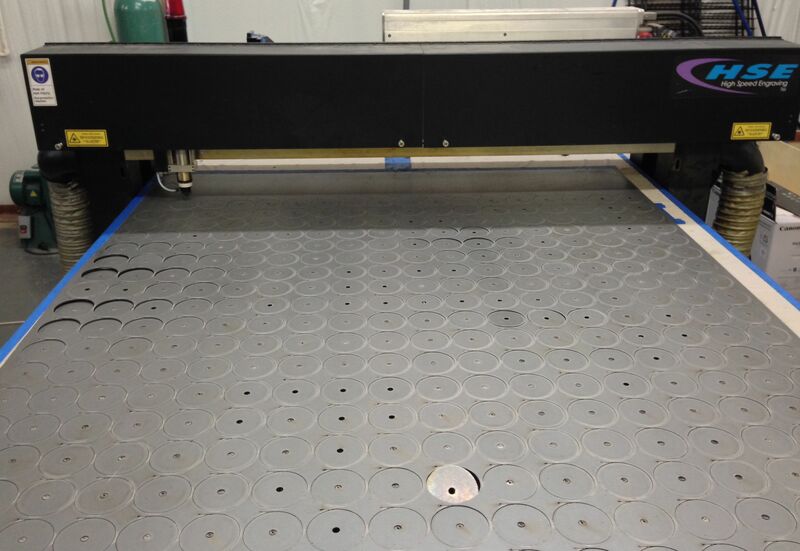 This is our 150 Watt CO2 Laser Cutter. 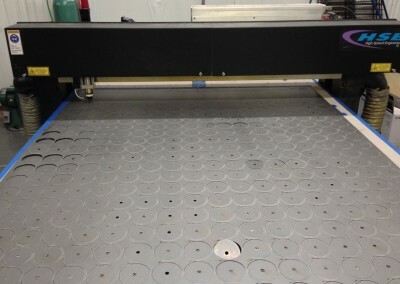 It has a 50″ x 100″ table and is capable of cutting a multitude of materials from Carbon Steel to Open Pore Filter Media.